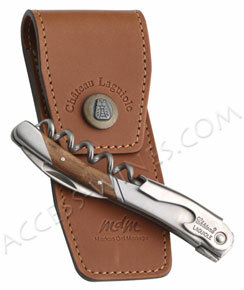 Created in 1992 by VIALIS, all the « Château Laguiole » corkscrews are manufactured with the respect of the tradition and know-how of the Thiers region. 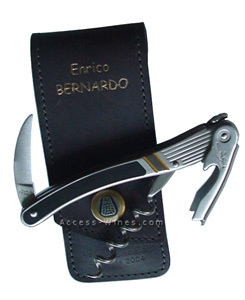 Enrico Bernardo (Best Sommelier of the world 2004), with his corkscrew in lacquer and brushed steel that reminds him of his collection of pens. 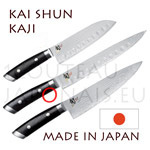 Due to the storm of 26 décember 1999, a important number of trees was uproot or endomaged, also in the park of the château de Versailles. Guy Vialis buyed the most beautiful stump and many other trees during the auction sale in october 2000. 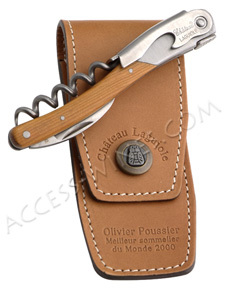 The corkscrew made from yew tree from the château de Versailles are engraved "Olivier Poussier", the best sommelier of the world in year 2000. 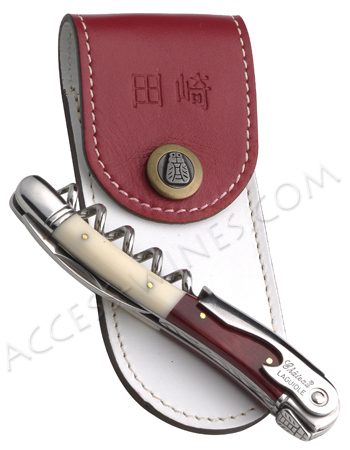 Hendrik Thoma (Master sommelier 1999 - Germany). This corkscrew is no longer manufactured. 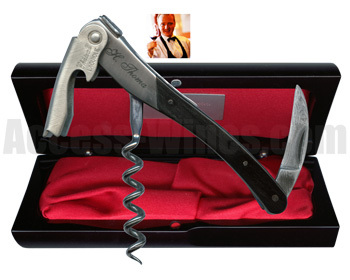 Markus Del Monego (Best Sommelier of the world 1998), his butler is with wood vine with a long bolster and the lever is engraved with his initials. 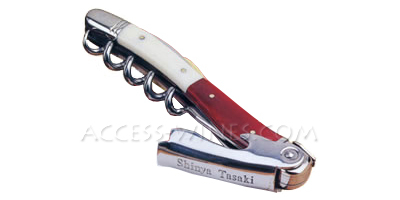 Shinya Tasaki, World’s Best Sommelier 1995, contest of Tokyo - Japan chose his butler in red and white as the colors of his country, his name is engraved on the lever. 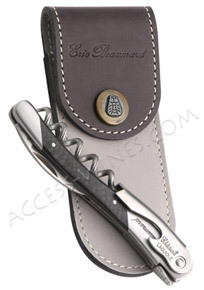 Serge Dubs (Best Sommelier of the world 1989) chose a palissander handle and a stork engraved on the bolster to remind the Alsace region. 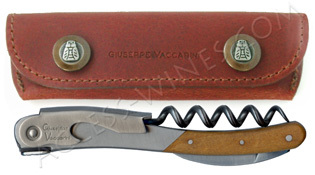 Giuseppe Vaccarini (Best Sommelier of the world 1978) wished a Lime handle, this wood species reminding his native Italy.